Welcome 2018 with more branded content! Creating and marketing compelling branded content through social media is pretty much significant from the overall branding perspective. We are into digital branding and with our years of experience as a digital branding company in Kolkata – here’s our tip to tomorrow’s content marketing – add personal touch and add a brand voice to your social media content. Experiential marketing leads the way – Doesn’t really matter if it’s at the sporting event, or at the parking lot, or at the high-visibility city square, relying on a seamless storytelling technique will be able to create an authentic brand experience. Brand stories are not ads and marketing materials. They are also not the boring sales pitches. Brand stories need to be told with the brand persona in mind and with the writer’s personality right at the center stage. Mobile friendly content – Consumers are spending a whole lot of time using social media on their mobile devices. This means brands are nowadays more focused on creating content for the small screen. Create simple, scalable and scanable mobile-ready content for your audience. Video contents – Richer the content, more the amount of engagement. So, what’s “rich content” anyway? In the most general sense richer content means any type of content, which can be facilitate user interaction, videos, for example. Create short, succinct videos for your brand. Distribute content to encourage user interaction and for collecting consumer insights. Since consumers trust one another’s opinions, it makes sense for brands to leverage user-generated content strongly and rather heavily. Just posting the images of happy customers is no longer an option. Brands need to invest time in finessing ‘ugc’ and utilizing it into the social campaigns in seamless and organic way. Social media in 2018 will present a very exciting opportunity for using cutting-edge content in building effective and meaningful relationships with consumers. Finally; ensure that your brand stories are real time page turners. 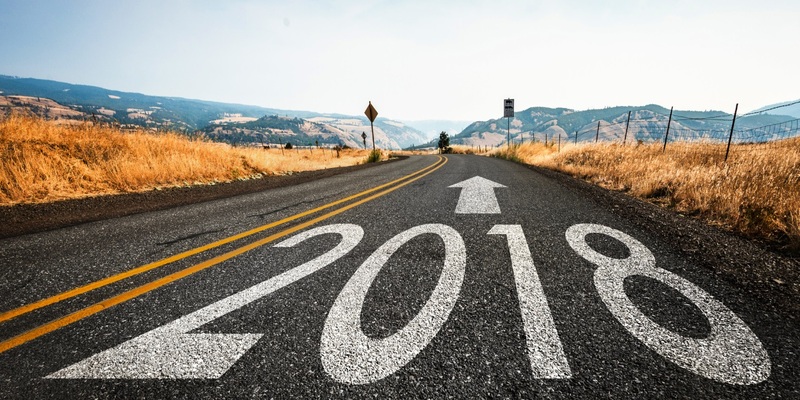 After all; you have to take the reader along with your brand’s story for seamless and effective marketing in 2018. 2018 will be all about figuratively connecting the consumers with the brand. It will be more about humanizing a brand, driving engagement and modifying behavior. There is no denying, festive seasons are the biggest sales month that helps in carrying the Indian eCommerce ecosystem to the next level. Statistical records reveal, around 40-50% of annual retails occur during the festive month of Oct-Nov. It goes without saying in order to yield the maximum benefit of this festive season, the marketplace starts competing among themselves. The idea is simple, to get the lion’s share of the pie. The online stores also start competing with each other, to arrest the attention of their target audience and to generate the maximum amount of sales during the festive season. Proactivity is the key here if you are serious about driving sales during the festive month. As a responsible business owner, you need to adopt the effective marketing strategies to stay ahead of your competition. The start-ups are adopting seamless brand strategies in order to tap into the emerging market. As a responsible e-commerce development company and digital marketing company in Kolkata, we know what it takes to be successful when selling online. Here we’ve compiled a list of the significant factors which you can integrate into your overall strategy to increase sales in the upcoming festive season. Come up with a dedicated landing page – This is the obvious first step. Decorate your website and create a festive mode by to help customers connect with you emotionally. You may come up with a dedicated banner on the home page and communicate your best festive offers. Use targeted keywords – If you are targeting the Diwali time to sell more, use a few targeted keywords and key phrases such as “Best Diwali Deals”, Diwali Offers”, “Best Festive Offers” in order to boost rankings. Identify the targeted keywords with their average monthly search volume to reap the maximum benefit. Do Email Marketing – This is one of the best and possibly the smartest ways to connect with your past, present and future customers, to increase sales and reach. Effective and targeted email marketing means more sales and more leads for your business. Communicate your best offers and deals through mailer communication, if you are targeting this Diwali to sell more. Try and incorporate the brand value proposition into the mind of your target audience. Leverage the Social Media – Take the advantage of the social media to inform your target audience about the offers and deals for the festive season. You may even run the festive contest on the popular social media platforms for increasing your customer engagement. Market your shareable content – there’s no secret for the festive season, content marketing stands as a valuable and viable option. To market your business in the festive season, connect with your audience through different forms of content, for instance, blog, meme, infographic, video or slides with the end goal of communicating your latest Diwali deals and offers. Create a dedicated Diwali Blog series if you want to increase user engagement. Re-target your customers – Retarget your past and present customers who might have shown interest in your product or services. This is certainly an important element in driving sales. Focus on people who have abandoned your shopping cart before. Try to give them targeted Diwali offers and Deals through search and display ads. Take the advantage of this festive season!! Utilize these tips and increase your sale this Diwali. As one of the leading digital branding agency in Kolkata, we know the secret recipe to make your online store successful. Mobile apps currently account for 82% of the overall time spent on daily media consumption. Enterprises are hurrying to develop mobile apps to secure a lion’s share on this rapidly growing ecosystem. Still; due to misguidance, haste and due to the industry fragmentation there are a number of pains plaguing the mobile app development sector and the process. Needless to say; solving these problems is critical if you are serious in developing the mobile apps with the potential. Teamwork: when it comes to the point of creating high quality apps the significance a high caliber team is hard to deny. For making an effective app working with business users, designers, developers, and QA is essential however this also lengthens development cycles. Collaborate in real time to counter this issue. Use new cloud tools to collaborate in real-time. By sharing the development environment online, multiple users can view and modify concurrently. Coding: Literally; coding has become a pain for mobile app developers especially who are busy with multi-platform development with budget and schedules. Coding from the scratch lowers productivity and speed. In this ever-growing mobile apps market, time is of the essence. This is where “low coding” platforms plays the part. Supporting all devices, platform releases, and networks: Ranging from smartphones to tablets and now smartwatches the diverse network calls for supporting all of these devices, platforms, and networks when it comes to app development. To limit the need to check repeatedly using MBaaS simplify the process. Also, opting for HTML5 and Hybrid app development will produce hybrid mobile from the same code base. Developers create the app only once, and deploy across all device types or screen sizes. Debugging and testing: Debugging and testing every change and upgrade to your app, its design, functionality, and performance is a pain for serious mobile app developers. When building an HTML5 mobile app, you can instantly test the app. Look for a platform with a tester app that allows you to launch your native app and test APIs without needing to install it each time. Security and compliance: Mobile apps are, by definition, vulnerable to security threats. To solve this pain, deploy apps in a secure container on the device and connect to a secure server. Memory and power consumption: in order to make best-in-class mobile apps developers may rely on emerging technologies. Although they create spectacular app but they may often a toll on memory and power consumption. To remediate this, aim to optimize use of radios, CPU, disk, and memory usage. Believe it or not; mobile app development can be a totally pain-free, smooth, and efficient process. With This Comes The Next Pertinent Question — Are You Ready For This Mobility Revolution? 1. Can you connect your mobile workforce to your back-end systems in order to increase the productivity? 2. Are you ready to face a paramount increase in business activity from your connected customers? 3. As a responsible entrepreneur can you actually balance customer and employee privacy requirements? 4. Is your architecture and infrastructure robust and flexible enough to support apps, devices and Internet of Things? As one of the leading web and mobile application development company in Kolkata, we have worked with are considering beyond the Bring Your Own Device (BYOD) concept. On the other hand; those on the cutting edge are in fact developing the enterprise mobility strategy that takes into consideration all of the above requirements.